We've done (almost) everything in video games. Sniped aliens, dunked on Michael Jordan, saved the world from destruction...heck...saved the universe from total annihilation. 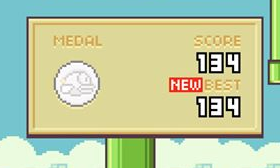 None of that compares to breaking our personal Flappy Bird high score. This mobile game is so intense we literally begin to shake while playing it, and when that poor hapless bird bites the proverbial big one, the adrenaline rush is insane. Play this game and then hit the gym. You'll put up mad weight. 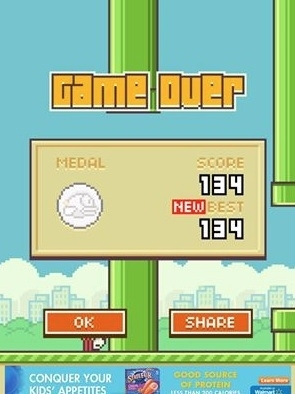 That said, once again we failed to film our latest and greatest Flappy Bird score, which is officially 134. Best believe, though, that we intend to capture like mad this week. In fact, we have some videos that'll post tomorrow. For now, we need a break, because this game just left us hopping around the office.